The Chairman of Eight Peaks Group PLC’s (“Eight Peaks”, or the “Company”) responsibility is to ensure that the Board is led effectively, the Company’s strategy and implementation is regularly reviewed, to oversee the Company’s corporate governance model and to communicate with shareholders. Eight Peaks Group PLC (“Eight Peaks”, or the “Company”) has adopted the Quoted Companies Alliance Corporate Governance Code (“QCA Code”) in line with the London Stock Exchange’s recent changes to the AIM Rules, requiring all AIM-quoted companies to adopt and comply, or explain non-compliance with a recognised corporate governance code. This report follows the structure of these guidelines and explains how we have applied the QCA code. Annual updates will be provided on compliance with the QCA Code, and note changes to the Company’s key corporate governance arrangements over the past year, including the adoption of the QCA Code, and appointment of a Non-Executive Director. The Company will detail the areas of the QCA Code that it complies with and will disclose and explain any areas of non-compliance in the text below. Eight Peaks understands that the application of the QCA Code supports the Company’s medium to long-term success, whilst simultaneously managing risks and provides an underlying framework of commitment and transparent communication with stakeholders. The Board has concluded that the highest medium and long term value can be delivered to its shareholders by the adoption of a single strategy for the Company. Eight Peaks is a proactive investment company that focuses on making investments in and assisting companies that exhibit the potential to generate returns of many multiples through capital appreciation. Eight Peaks makes investments in all sectors including technology, energy and natural resources, specifically in businesses and opportunities with the potential for substantial asymmetric capital appreciation. The focus is primarily on high growth companies, although investments may be made in anticipation of receiving dividends. Investments may be structured primarily using equity, although debt or derivatives may be used where appropriate. In cases in which leverage is used, it is expected to be limited to 100 percent of the gross asset value of Eight Peaks, at the time of the investment. Dependent on the nature and size of the investments, Eight Peaks may take a passive or active role in the investments. Typically, investments will be held for between two and seven years, but may be held for other periods as appropriate. Eight Peaks does not have an investment manager. Eight Peaks intends to deliver shareholder returns principally through capital appreciation rather than income distribution via dividends. As with any investment company, challenges to Eight Peaks’ business plan include the uncertainty around investee companies achieving expected targets. Additional challenges/risks and how these will be addressed are detailed in Principle Four, below. The Board is committed to maintaining good communication and having constructive dialogue with its shareholders. The Company has ongoing relationships with its private shareholders. Institutional shareholders have the opportunity to discuss issues and provide feedback at meetings with the Company. The Non-Executive Director and Executive Chairman are primarily responsible for shareholder communication. In addition, all shareholders are encouraged to attend the Company’s Annual General Meeting. Significant developments are released to the market through the Regulatory News Service, Interim and Annual Reports, and through presentations and other key information on the Company though its website, www.8pg.co, and via info@8pg.co, to which investor relations enquiries can be directed. The Company is open to receiving feedback from key stakeholders, and takes action where appropriate. The Board recognises that the long term success of the Company relies upon good relations with a range of different stakeholders. These include its shareholders, it advisers, its investee companies and the range of business contacts built up through the years by the directors. The Board has in place a range of processes and systems to ensure that there is oversight and contact with its key stakeholders. The Company’s strategy to invests in near start up and small companies that are in sectors exhibiting long term growth dictates that we foster good relationships with broking firms, other professional service providers in order to keep abreast of potential investment opportunities. The Company deals only with ethically sound entities and, as such, reduces any risk to investment capital by unethical business practices. There is an open and confidential dialogue to help two-way communication about Company goals, targets and aspirations, as detailed on the Company website, using resources such as Investor Presentations and Interviews with the Company’s Chairman. The Company has ongoing relationships with its stakeholders and provides them with the opportunity to raise issues and provide feedback to the Company, including through the Contact page on the Company’s website, Or via email to info@8pg.co. Furthermore, the Company communicates directly with investee company management so that any issues that arise can be tackled. These feedback processes help to ensure that the Company can respond to new issues and opportunities that arise, furthering the success of the Company. As an example, feedback in summer 2018, from potential and actual shareholders and advisers, led to the conclusion that the Company should consolidate its shares and change its name. These actions have been implemented. Strategic Underlying performance of its investments and having no direct control of investee companies Poor performance of investee companies which ultimately affects the performance of Eight Peaks. Investments fail to achieve goals. Review of potential companies prior to investment. Integration within investee companies, such as Board communication meetings and communicating directly with the investee company management. Eight Peaks also performs its due diligence, including, where appropriate, engaging 3rd party consultants to conduct due diligence. Eight Peaks monitors and regularly reviews investments and takes actions to decrease or dispose of investments where appropriate. Financial Inability to raise funding through equity, debt markets, or sale of existing investments Unable to make new investments. Reduction in investment’s asset values. Financial performance is monitored in a timely manner. The Board meets regularly to review investment holdings, current and anticipated levels of financial liabilities, and also to ensure that it has sufficient financial resources to implement its planned operations while maximising the return to stakeholders. Material misstatement or loss in financial statements Incorrect reporting of assets. Internal systems have been designed to provide reasonable assurance that problems are identified on a timely basis and dealt with appropriately. The Directors have put in place a framework of controls to ensure that ongoing financial performance is monitored in a timely manner, that corrective action is taken and that risk is identified as early as practically possible. Directors regularly review the effectiveness of internal financial control. The Directors are responsible for the Group’s system of internal control. Although no system of internal control can provide absolute assurance, the Company’s systems are designed to provide reasonable assurance that problems are identified on a timely basis and dealt with appropriately. In carrying out their responsibilities, the Directors have put in place a framework of controls to ensure, as far as possible, that ongoing performance is monitored in a timely manner, that corrective action is taken, that risk is identified as early as practically possible, and they have reviewed the effectiveness of internal control. To mitigate against risks, Eight Peaks, where appropriate and where it can, proactively assists and influences management of the investee companies to help them achieve their goals, by communication directly with the management of investee companies. Eight Peaks also performs its own due diligence exercises and where appropriate, engages 3rd party consultants to conduct due diligence. An internal audit function is not considered necessary or practical due to the size of the Company and the day-to-day control exercised by the Executive Directors. However, the Board monitors the need for an internal audit function. The Board has established appropriate reporting and control mechanisms to ensure the effectiveness of its control systems. As at the date hereof, the Board comprised a full-time Executive Chairman, Zafar Karim, a part-time Executive Director, Thomas Reuner, and an Independent Non-Executive Director, Lord Nicholas Monson. Biographical details of the current Directors are set out within Principle Six below. All Directors are subject to re-election at intervals of no more than three years. The letters of appointment of all Directors are available for inspection at the Company’s registered office during normal business hours. The part-time directors commit such time as required to fulfil their role. In the case of Thomas Reuner this is at least 30 hours per week. In the case of Lord Nicholas Monson, this is as much time as required. The Board considers that given the Company’s current stage of operations, the experience of the directors and their current practice to preserve capital for investment opportunities, combining the roles of Chairman and CEO is justifiable at present. It shall continue to monitor the need to match resources to its operational performance and costs and the matter will be kept under review going forward. The Company recognises the long term need for an Independent Non-Executive Chairperson and does and shall continue to review this, as the scale and complexity of the Company grows in the future and in proportion to costs. The Board expects to meet at least 6 times per annum. In order to be efficient, the Directors meet formally and informally both in person and by telephone. Board document authors are made aware of proposed deadlines, allowing relevant papers to be collated and circulated with sufficient time prior to each meeting. At each scheduled meeting of the Board, the Directors report on the Company’s operations. During the year commenced 1 April 2018, the Board held 6 (as at 18 September 2018) Board meetings, all of which were attended by both Zafar Karim and Thomas Reuner. Given his recent appointment to the Board, Lord Nicholas Monson has not attended any formal board meeting as yet. The Board has agreed that appointments to the Board are made by the Board as a whole and so has not created a Nominations Committee. The Board notes that the QCA recommends a balance between Executive and Non-Executive Directors and recommends that there be two Independent Non-Executives. The Board will take this into account when considering future appointments. However, all Directors are encouraged to use their judgement and to challenge matters, whether strategic or operational, enabling the Board to discharge its duties and responsibilities effectively. The Company has not established Audit or Remuneration Committees, given the size and current structure of the Company’s Board. However, the need will be reviewed over time and in line with the Company’s growth and development. The Board currently consists of 3 Directors and, in addition, the Company has employed the outsourced services of Liam O’Donoghue of ONE Advisory Limited to act as the Company Secretary. The Company believes that the current balance of skills in the Board as a whole reflects a very broad range of personal, commercial and professional skills across geographies and industries and each of the Directors has experience in public markets. Therefore, it is believed that the Board is able to deliver the strategy of the Company for the benefit of shareholders in the medium to long term. The Board recognises that it currently has a limited diversity and this will form part of any future recruitment consideration, if the Board concludes that replacement or additional Directors are required. In addition to their general Board responsibilities, Directors are encouraged to be involved in specific workshops or meetings, in line with their individual areas of expertise. The Board reviews annually, the appropriateness and opportunity for continuing professional development whether formal or informal, and updates are received from Company advisers, primarily the NOMADS, Brokers, Accountants and Lawyers in relation to matters that might affect the Company, including MAR and AIM rules amendments, in order to keep respective skillsets up to date. Zafar Karim brings almost three decades of investment banking and financial experience, including turning around and building companies, restructurings, financial strategy and investment and risk management to the Company. Zafar serves as a Board member for several companies and has acted as a consultant to various businesses and entrepreneurs in relation to their financial and investment strategies. From 1994 to 2002, Zafar worked in investment banking at NM Rothschild. He started his career in 1990 with the investment banking division of Salomon Brothers. Zafar successfully completed the Blockchain Strategy Programme, University of Oxford, UK. He also has an M.A. in economics from the University of Cambridge. In addition to his general Board responsibilities, Zafar is encouraged to be involved in specific workshops or meetings, in line with his individual areas of expertise, and to attend refresher courses from external advisers and conferences to keep abreast of updates in the market. Thomas Reuner is an experienced strategy consultant. His deep understanding of the dynamics of the IT and telecommunications sectors comes from senior positions with IDC in Germany and with Gartner, NelsonHall and KPMG Consulting in the United Kingdom. Tom’s expertise lie in investment research, evaluating and formulating business and IT strategy and analysing technology adoption. Tom has a PhD from the University of Göttingen in Germany. In addition to his general Board responsibilities, Tom is encouraged to be involved in specific workshops or meetings, in line with his individual areas of expertise, and to attend refresher courses from external advisers and conferences to keep abreast of updates in the market. Nicholas has significant experience as an Investor Relations Adviser to listed companies in a range of sectors, including bio tech, engineering, natural resources, energy, technology and finance. His range of activities cover communications and helping to raise equity and debt. In addition to his general Board responsibilities, Nicholas is encouraged to be involved in specific workshops or meetings, in line with his individual areas of expertise, and to attend refresher courses from external advisers and conferences to keep abreast of updates in the market. The Directors consider that the Company and the Board are not yet of a sufficient size for an official full Board evaluation to make commercial and practical sense, and therefore, the Board acknowledges that at its current development, it does not comply with Principle 7. 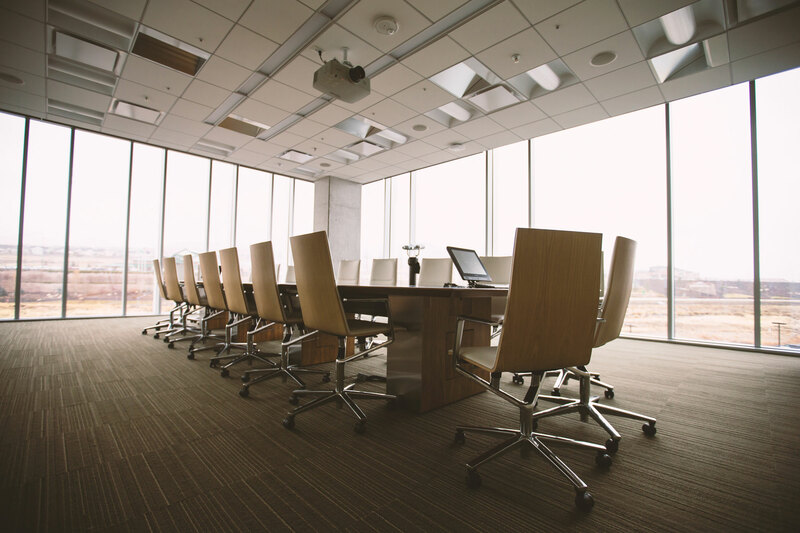 However, in Board meetings/calls, the Directors can discuss any areas where they feel a change would benefit the Board and the Company, and the Company Secretary remains on hand to provide impartial advice. A specific area highlighted during this process was Board composition and as a result, a Non-Executive Director has been appointed. The results and recommendations that come out of these discussions seek to further identify the key corporate and financial targets that are relevant to each Director and any personal targets in terms of career development and training. As the Company grows, it expects to expand the Board and with the Board expansion, re-consider the need for Board evaluation. Succession planning recommendations are made by the Board as a whole, and all Directors submit themselves for re-election at the AGM at regular intervals. The Board recognises that its decisions regarding strategy and risk will impact the corporate culture of the Company as a whole and that this will impact the performance of the Company. The corporate governance arrangements that the Board has adopted are designed to ensure that the Company delivers long term value to its shareholders and that shareholders have the opportunity to express their views and expectations for the Company in a manner that encourages open dialogue with the Board. A large part of the Company’s activities are centred upon what needs to be an open and respectful dialogue with stakeholders. Therefore, the importance of sound ethical values and behaviours is crucial to the ability of the Company to successfully achieve its corporate objectives. The Board places importance on this aspect of corporate life and seeks to ensure that this flows through all that the Company does. The Directors consider that at present the Company has an open culture facilitating comprehensive dialogue and feedback, enabling positive and constructive challenge. The Company has adopted, with effect from the date on which its shares were admitted to AIM, a code for Directors’ and employees’ dealings in securities which is appropriate for a company whose securities are traded on AIM, and is in accordance with the requirements of the Market Abuse Regulation which came into effect in 2016. The Executive Chairman is responsible for the effectiveness and leadership of the Board, the day-to-day running of the business, developing corporate strategy and primary contact with shareholders. The Non-Executive Director is tasked with ensuring that the strategies proposed by the Executive Directors are fully considered, constructively challenging the decisions of executive management and satisfying himself that the systems of business risk management and internal financial controls are robust. No other Directors have any particular governance responsibilities beyond their role on the Board. The Board reviews the Company’s corporate governance arrangements regularly and expects to evolve these over time, in line with the Company’s growth. The Board has agreed that all audit and compliance related decisions will be made by the Board as a whole and so has not created an Audit Committee. As a result, until an Audit Committee is formed, the Company’s Annual Report will not contain an Audit Committee Report. An Audit Committee is not considered necessary or practical due to the size of the Company and the day-to-day control exercised by the Executive Directors. However, the Board will continue to monitor the need for an Audit Committee. Therefore, the Board has primary responsibility for monitoring the quality of internal controls and ensuring that the financial performance of the Company is properly measured and reported. The Board has not historically produced an Audit report and the Company does not currently intend to produce a report going forward. The Board receives reports from the Executive Directors and auditors relating to the interim and annual accounts and the accounting and internal control systems in use throughout the Company. The Board has agreed that all remuneration related decisions will be made by the Board as a whole and so has not created a Remuneration Committee. Therefore, the Board as a whole reviews the performance of all Directors, and on matters relating to their remuneration and terms of employment. The Board also considers and approves the granting of share options pursuant to the share option plan and the award of shares pursuant to the Company’s Remuneration Policy. Please see the 2017 Annual Report for the Company’s latest Remuneration Report (page 16). The Board notes the recommendation for both Executive and Non-Executive Directors to sit on the Board, and that the QCA Code recommends that there be two Independent Non-Executives. The Board will take this into account when considering future appointments. This will also enable the Board to provide for an orderly and constructive succession and rotation of the Chairman and appointment of Non-Executive Directors. Directors are appointed for an initial term of 3 years and may, at the Board’s discretion believing it to be in the best interests of the Company, be appointed for subsequent terms. The Board is committed to maintaining effective communication and having constructive dialogue with its shareholders. The Company intends to have ongoing relationships with its private shareholders and institutional shareholders and for them to have the opportunity to discuss issues and provide feedback at meetings with the Company. In addition, all shareholders are encouraged to attend the Company’s Annual General Meeting. Historically, Eight Peaks has had all resolutions passed at General Meetings without a problem. However the Company maintains that, if there is a resolution passed at a GM with 20% of votes against, the Company will seek to understand the reason for the result and, where appropriate, take suitable action. Investors also will have access to current information on the Company though its website, www.8pg.co, and via info@8pg.co, to which investor relations enquiries should be directed. The latest Corporate Documents (including Annual Reports and Notices of AGMs) can be found here.